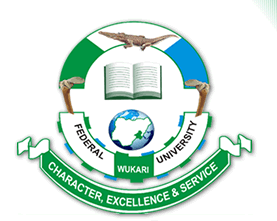 #FUWUKARI Acceptance Fee – The amount to be paid as the Federal University Wukari (FUWUKARI) admission acceptance fee and payment procedure for the 2018/2019 academic session. Following the publication of the Federal University Wukari (FUWUKARI) admission list for the 2018/2019 academic session, the management of the institution also released the amount to be paid as acceptance fee and the payment procedure. FUWUKARI Acceptance Fee Payment Procedure. Then on the displayed page, use your JAMB Registration Number as Login ID and Surname as your default password, thereafter, click the login button. Click on Check Admission Status link to confirm your admission status. Read the DECLARATION FORM and accept the offer of admission for the Course you have been admitted to study. If you have been offered admission and make Acceptance payment of #5000.00. After successful Acceptance payment Click on Screening Payment to also make payment of #1000.00 for screening. After successful Screening Payment Click on Upload Documents for Screening Process to upload all required document for verification. Kindly note that if you have make Acceptance payment before, you need to Relogin and make payment for Screening of #1000.00 before your verification process will be completed. FUWUKARI Registration and Clearance Procedure for Fresh Students.